Santa needs to isolate some naughty elves in a room to think about all the mischief they’ve caused. However, if any pair of elves can see each other, they’re bound to make trouble. 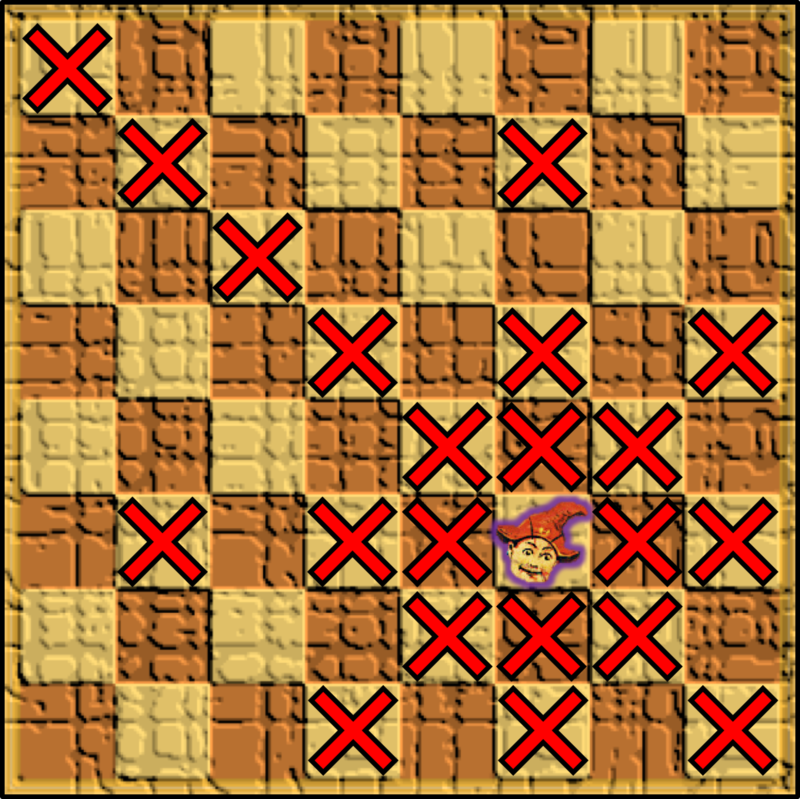 The room is tiled with 64 tiles (8 by 8), alternating between sandstone and terracotta, and each elf must be placed on a tile. 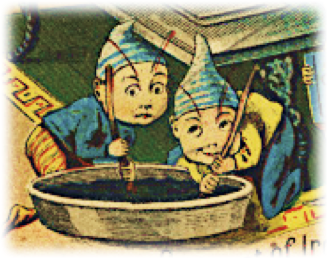 Elves are very short-sighted, so they can only see each other if they are on immediately adjacent tiles. 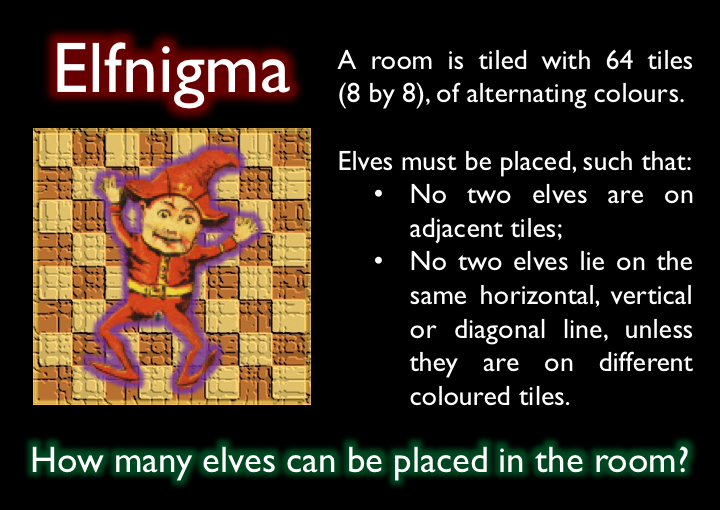 However, owing to their magical physiology, they can also use their second sight to see any elf in the same vertical, horizontal or diagonal line of tiles as themselves, provided that they are both on tiles of the same material. What is the maximum number of elves that Santa can place in the room such that no two elves can see each other?